Let's get random, shall we? I am a...notebook gal. I have a notebook for almost everything. From poems to Science notes to the little moments of my life. I have them all in writings! 1. These are my most favourite notebooks. This is where I write my poetry works and sometimes my Nostalgia work. Part of my soul is inside the pages of the books. 2. I can't go to school without this one. 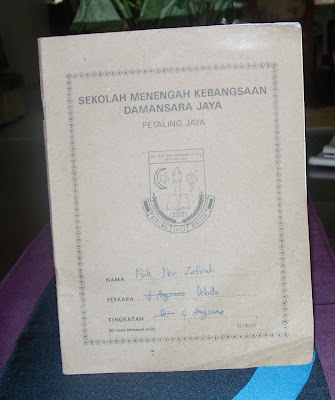 My 'jacket book' is my organizer and it is filled with school notes and homework. 3. This notebook might look humble and ordinary but this was where I jotted down my debate notes and points. Read through the pages and it's a whole different world already. 4. I even have a notebook specifically for my do'a (prayers). It's a very religious and spiritual book. Oh yeaa. 5. Ahh yes, this is my best kept secret. 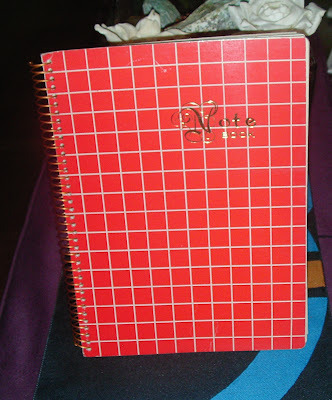 It's my personal diary. I used to write in it everyday but nowadays I only jot down life-altering moments which do not happen everyday. But I still love it!